Who Control The World's Financial System? Despite widespread suspicion that the world's financial system is controlled by occult secret societies, this conspiracy theory is difficult to prove. The idea that secret societies are running the world is well established. For example, the Bilderberg group is well documented as an elite society of the world's top politicians and businessmen who meet in secret outside the democratic arena, but the public do not know what is discussed or decided at Bilderberg meetings. Nevertheless, "The Insider" can provide some insight into the spiritual beliefs held by the men who control of the world's economy, by investigating how the financial system was established, and examining the relationship between finance and religion. The men who control the global financial system certainly do not share the same beliefs as those who follow the major contemporary monotheistic religions - Judaism, Christianity, or Islam. According to the Jewish Torah and the Christian Bible (Ex 22:25), and the Muslim Koran (2:275), charging interest (usury) on a loan is strictly forbidden by God. In the New Testament of the Bible, Christians are specifically instructed to "lend, expecting nothing in return" (Luke 6:34-35). Thus, in Christian doctrine, it is right lend money to those in need but wrong for the lender to seek profit from the loan. In the scriptures, repossessing property secured on a loan is also directly against God's commandments, especially when someone's only source of shelter is pawned (Exodus 22:26). Apparently, God's original intention was that people should lend to eachother out of kindness, but not for greed or profit. Yet the law in many countries permits lenders to charge interest on debts, and law enforcement agencies actively assist lenders in recovering interest owed. The modern legal system also enables money lenders to repossess people's property, for instance somebody's home, if they is unable to repay a loan within the agreed time limit. Mortgage lenders can and do legally take people's property, even if it is their only refuge and they have already paid many times the true market value of the property including interest. In a display of inexplicable hypocrisy, the same law courts which uphold and enforce usury and repossession also require people to swear oaths on the holy books in which God directly forbids these activities. If you thought you were living in a society based on Christian principles, or Jewish or Muslim ones for that matter, then think again. 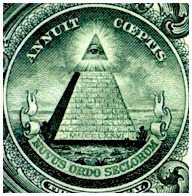 We all live under the New Secular Order (Novus Ordo Seclorum) now, and this is just the beginning. The modern global finance system was created by the Knights Templar, a medieval military and religious Order which officially came to a controversial and mysterious end on Friday, 13 October 1307 when the Roman Catholic Church closed them down, accusing their leaders of heresy and strange religious beliefs. During the era of the Crusades the Templars possessed a huge multi-national empire, and until their demise they were arguably the most powerful organisation on Earth. Could the official version of history be correct, that the entire organisation and its members had gone forever without a trace by 1312 AD? According to popular theory, the Templars went underground and formed the secret society of the Freemasons to preserve their secret tradition. Inside sources do not always openly accept the relationship between the Templars and the Freemasons, although there are obvious connections between these two groups, and Masons make no secret of their continued interest in the Knights Templar. 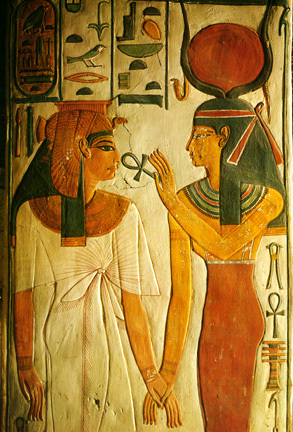 There is no doubt that esoteric secret societies claiming direct descent from the Templars do exists today, which apparently follow the ancient Egyptian mysteries. "The Insider" strongly recommends further research in order to better understand this important and interesting chapter of human history, because it has exerted a major influence on the development of contemporary civilisation. The repercussions of these events reverberate strongly in world events to this day - and perhaps more deeply than most people appreciate. In April 2002 a number of big financial companies merged to form one of the world's largest investment corporations, and on 27 September 2002 the new company was named "Isis" after the ancient Egyptian goddess. Isis Asset Management Plc confirm their appreciation of the ancient Egyptian religious tradition by incorporating the crown of Isis, a horned solar disc, in their official logo. The company's own literature does not mention the religious or historical significance of this new name in the world of global finance, and it would not be apparent except to those with prerequisite knowledge. It would be understandable why, two years into the new millennium, a huge international financial institution has chosen to be named after an ancient deity, if the men who control the company possessed some knowledge of the ancient mysteries. Those who control the world's largest corporations and financial institutions - the high-priests of capitalism - are among the most influential and powerful men on Earth. The strategies which they employ, and the policies to which you are expected to surrender, directly disobey the fundamental laws of humanity which most religious people believe were given to our ancient ancestors by God himself. The origin of their ideology can be traced back through an ancient brotherhood which apparently survives today in the form of modern secret societies. The course of history has been set, and the future of human civilisation shall be decided, by the influence of these businessmen - the most powerful men in the world. From The Insider: "Who Control The World's Financial System?" 1. Parascope - Matric Conspiracy website: The Bilderberg Group. 2. Exodus, The Second Book of Moses, chapter 22 verse 25, from the Christian Bible or Hebrew Torah. 3. Qu'ran 2:275, 2:276, 3:130, 4:161 30:39. 4. Exodus, The Second Book of Moses, chapter 22 verse 26, from the Christian Bible or Hebrew Torah. 5. The wholesale support of usury by the legal system and the obedient acceptance of usury by the general public is exemplified by an article on the Consumers League of New Jersey website entitled "The Civil Usury Law is the Cornerstone of Consumer Protection". 6.a. The Encyclopaedia of the Renaissance: Banking. "Renaissance banking was basically the same as medieval banking, with a few great houses offering merchant banking services (particularly long-distance money transfer and the provision of loans). The first such organization was that of the Knights Templar, who by 1200 were in effect bankers to the kings of England and France." 6.b. Prince Hall Masonry website: Who Were The Knights Templar? "Due to their vast wealth and surplus of materials the Templars essentially invented banking, as we know it. The church forbade the lending of money for interest, which they called usury. The Templars, being the clever sort they were, changed the manner in which loans were paid and were able to skirt the issue and finance even kings." "The Templars devised the modern banking system." "The basic idea of banking, and the typical services offered, can be traced back to medieval times. The Knights Templar were known to store valuables, arrange loans, and manage the transfer of various funds between people and even countries." "Because the Knights Templars regularly transmitted money and supplies from Europe to Palestine, they gradually developed an efficient banking system unlike any the world had seen before." "The Knights Templar ... developed an efficient banking system upon which the rulers and nobility of Europe came to heavily rely." "...by the 1290s their house in Paris could offer a deposit bank with a cash desk open on a daily basis and specialist accountancy services of great value to contemporary secular administrations." "...the modern system of banking which we take for granted was created by the Templars, who held vast sums of money for every throne in Europe..."
9. Read, P. P., 2001. The Templars: The Dramatic History of the Knights Templar, the Most Powerful Military Order of the Crusades. New York, USA: Da Capo Press. 10. Knight, C. & Lomas, R., 1997. The Hiram Key: Pharaohs, Freemasons and the Discovery of the Secret Scrolls of Jesus. Dorset, United Kingdom: Element Books. 11. Masonic public relations sources do not readily reveal the Templar origin of their Order. 12.a. Some Masonic sources acknowledge that the evidence that the Knights Templar founded the Masonic movement, for instance the New York Masonic Hall official website states that "scholars link the Masons' origins to the Knights Templar." 12.b. The official website of the Supreme Grand Royal Arch Chapter of Queensland, Australia, has a page on the history of the Royal Arch Freemasonry which lists "Knight Templar Priests" among the Orders which belong to this high ranking degree. 12.c. A page entitled "How do I become a Knight Templar?" on the Indiana Masons official website explains that "To become a Knight Templar, you must first become a Master Mason in good standing in a regular Masonic Lodge". "The Grand Encampment of Knights Templar of the United States of America is the national governing body of the Knights Templar, a Christian-oriented fraternal organization and an integral part of the Masonic Fraternity." 12.e. Various Masonic sources refer to the Knights Templar as a "Masonic order", such as the official website of the Provincial Grand Lodge of Staffordshire, England. 12.g. Masonic regalia includes a "Knight Templar Priests" outfit. 13. Sympathetic article about the trial of the Templars on a prominent international web portal for Freemasonry. Parti-parti lawan diperalatkan lagi 'demi kepentingan Melayu'? Sewaktu membaca berita tentang inisiatif untuk mengadakan perbincangan di kalangan "parti-parti Melayu" bagi membincangkan isu-isu perpaduan dan kepentingan Melayu baru-baru ini, entah kerana apa saya sedikitpun tidak merasa terperanjat. Malah saya memang telah menjangkakan hal yang demikian akan berlaku, memandangkan bahawa telah menjadi suatu pola perlakuan politik di negara ini kini untuk Umno akan mengambil inisiatif (malah berusaha keras) untuk memujuk parti-parti dominan Melayu lainnya supaya bekerjasama bagi "menyelamatkan bangsa Melayu." Jelaslah, Umno biasanya akan memperalatkan isu "kepentingan Melayu" apabila parti itu menghadapi kemerosotan sokongan – dan untuk itu parti itu atau tokoh-tokoh tertentu parti itu akan sanggup merayu parti-parti lain yang dalam keadaan biasa akan dikutuk, dihina dan dicercanya. Yang mengambil inisiatif melakukan risikan (overtures) demikian kali ini adalah Norza Zakaria, seorang ahli Majlis Tertinggi Umno. Dan jika laporan dalam NST boleh dipercayai, beliau tampaknya telah berjaya memancing reaksi yang agak positif dari dua tokoh PAS dan PKR. Khabarnya, mereka bertiga akan mulai mengadakan perbincangan secara tidak rasmi minggu ini juga. Saya tidaklah begitu mengenali Norza Zakaria. Sepanjang pengetahuan saya, beliau sejak lama telah memainkan peranan sebagai "pengiring" (atau sidekick) Khairy Jamaluddin. Dalam kemelut perebutan jawatan yang kini sedang bergelora dalam Pergerakan Pemuda Umno, Norza telah memperlihatkan minatnya untuk menawarkan diri menjadi calon Ketua – sehingga dia baru-baru ini telah menyebarkan bahan kempen dan puisi (ciptaannya?) kepada bahagian-bahagian parti itu. Tindak tanduk Norza dalam memperalatkan parti-parti lawan dan gagasan "kepentingan" Melayu ini amat mengingatkan saya akan tindak tanduk Dr Mahathir sekitar tahun 1999-2000 – ketika Umno mengalami pukulan teruk dalam PRU-10 dan Dr Mahathir berusaha memulihkan sokongan terhadap dirinya di kalangan orang Melayu. Malah puncak kejayaan Dr Mahathir menjebak kerjasama pimpinan PAS – lewat suatu perhimpunan bersama tentang Palestin di Dewan Bahasa dan Pustaka – mempunyai dimensi politik antarabangsa dan hubungan dengan kuasa besar (yakni pertemuan Dr Mahathir dengan Bush yang telah diatur melalui perantara dengan sogokan berjumlah berjuta dolar). Pada waktu itu, kerana yang kuat hanyalah PAS sedangkan kekuatan PKR dipandang remeh oleh Dr Mahathir, maka hanya PAS yang telah menjadi sasaran overture Umno. Para pemimpin PKR yang menghadiri perhimpunan di DBP itu malah telah diletakkan di suatu pojok yang hampir tidak dipedulikan Dr Mahathir. Tetapi kini, kerana PKR ternyata lebih kuat berbanding dulu, maka inisiatif Norza itu telah melibatkan PKR pula – malah melibatkan seorang tokoh besarnya, Naib Presiden Azmin Ali. Risikan Mahathir pada tahun 1999-2000 itu sebenarnya bukanlah risikan terakhir. Telah bertiup kabar-kabar angin bahawa overtures yang sama terhadap PAS telah berlaku sebelum berlangsungnya PRU-12 baru-baru ini. Malah selepas PRU-12 berakhir, dikatakan memang ada percubaan oleh beberapa pemimpin Umno yang penasaran untuk memikat, menggoda, malah menjebak PAS untuk menyertai Umno dalam membentuk kerajaan campuran di beberapa negeri – dan kononnya pula memang ada tokoh PAS yang dikatakan sudah hampir tergoda. Oleh kerana pengalaman PAS yang lebih banyak dari segi "digoda" Umno ini, maka memang terdapat beberapa pemimpin PAS yang sering dianggap umum sebagai lebih cenderung untuk tergoda. Dikatakan juga bahawa mungkin sikap Presiden PAS, Tuan Guru Hadi Awang, yang tegas lagi konsisten dalam hal ini yang telah "menyelamatkan" PAS daripada terjerumus. Berdasarkan hakikat ini, maka saya tidaklah terperanjat jika di kalangan para pemimpin PAS terdapat beberapa tokoh yang akan menjadi sasaran overtures para pemimpin Umno yang ingin memperalatkan isu kepentingan Melayu itu. Saya juga tidak akan terperanjat jika tokoh-tokoh tersebut akan senantiasa memberikan tindakbalas yang positif terhadap risikan dan bujukan Umno itu. Namun demikian, sebagai "dara" yang pertama kali coba digoda – sedangkan selama ini dicerca dan dihina – respons yang sama positifnya dari kalangan pemimpin PKR terhadap godaan Umno ini bagi saya amatlah memeranjatkan – malah amat mengecewakan. Bagi saya, isu yang perlu difahami oleh para pemimpin PKR bukanlah sekadar persoalan menghadiri sebuah mesyuarat bagi membincangkan suatu persoalan yang tidak dianggapnya berbahaya, seperti isu kesepaduan Melayu dan kepentingan Melayu itu. Sedangkan mesyuarat itu sendiri, samalah seperti persidangan tajaan Abim di DBP pada zaman Mahathir itu, menurut hemat saya secara sedar sudah dijadikan cara untuk memperalatkan parti-parti lawan dan isu Melayu demi kepentingan dan survival Umno sendiri. Bagi PKR, dalam kerangka "politik baru" dan gagasan Agenda Ekonomi Malaysia, konsep kepentingan Melayu dalam konteks gagasan masyarakat dan negara adil pelbagai kaum mestilah berlainan – dan kerana itu sukar dijambatani – dengan gagasan kepentingan Melayu yang bersifat perkauman yang diwarisi dan diteruskan Umno dari perspektif masyarakat majmuk ciptaan sejarah kolonial itu. Jika gagasan kepentingan Melayu Umno yang telah dituangkannya ke dalam acuan dan kerangka pemikiran dan amalan DEB yang tidak adil itu sebenarnya dapat dijambatani dengan pemikiran baru yang sedang digubal dan dibentuk dalam PKR, maka apakah perlunya pemimpin besar PKR, Anwar Ibrahim, bermati-matian berusaha melahirkan gagasan Pakatan Rakyat yang menjanjikan suatu kelainan asasi daripada Umno dan BN? Dengan membiarkan dirinya terjebak dalam overtures yang kononnya sekadar tertumpu kepada usaha mengadakan sebuah mesyuarat informal itu, PKR – dan malah PAS juga – sebenarnya telah membiarkan dirinya terjebak untuk menerima acuan pemikiran Umno yang dangkal lagi ketinggalan zaman dalam memperkatakan dan memahami isu-isu keadilan sosial dan pembinaan negarabangsa. Sejak dulu lagi, saya sebenarnya selalu merasa hairan dan kaget mendapati sesetengah para pemimpin parti pembangkang di negara ini yang menjadi begitu excited setiap kali mereka didatangi maupun dihubungi oleh pihak-pihak tertentu dalam Umno untuk membincangkan isu-isu seperti "kepentingan Melayu" ini. Excitement itu sekurang-kurangnya dapat saya fahami dalam keadaan Umno/BN amat kuat sedangkan kita sendiri lemah dan tertindas. Tetapi dalam keadaan seperti sekarang – ketika kita mendapat sokongan rakyat banyak dan Umno sedang kucar kacir, maka apakah penjelasannya? Mungkinkah kedangkalan dan kecetekan cendekia kita sendiri? Rustam A Sani merupakan penganalisis politik terkenal tanahair. Nota: Takziah kepada keluarga Allahyarham Rustam A Sani atas pemergian beliau ke rahmahtullah jam 3:00 pagi tadi. Semoga rohnya diberkati Allah dan berada dikalangan mereka yang beriman dan beramal soleh. Diharapkan sumbangan dan buah fikiran alllahyarham melalui tulisan maupun lisan semasa hidupnya sedikit sebanyak menjadi rujukan, sempadan dan pertimbangan kepada kita. Blog Suara Rakyat allahyarham boleh dikunjungi di http://suara-rustam.blogspot.com/. Al-Fatihah. Negeri Sembilan pada asalnya didiami oleh orang-orang asli daripada suku kaum Sakai, Semang dan Jakun. Mereka hidup berpindah randah, memburu, mengutip hadil hutan dan ada yang mula bertani. Pada permulaan abad ke-14 Masehi orang-orang Sumatra dari Tanah Minangkabau mulai tiba di Negeri Sembilan melalui Melaka dan sampai ke Rembau. Orang Minangkabau ini lebih bertamadun daripada Orang Asli ini dan berjaya memujuk hati orang Asli. Dengan itu berlakulah nikah kahwin antara orang-orang Minangkabau ini dengan penduduk asli dan daripada keturunan mereka dinamakan suku Biduanda. Suku Biduanda ini adalah pewaris asal Negeri Sembilan dan apabila hendak memilih pemimpin maka hanya mereka dari suku Biduanda inilah yang akan dipilih. Orang-orang Minangkabau yang datang kemudian adalah dari suku kampung-kampung asal mereka di Minangkabau. Pada peringkat awal kebanyakan yang tiba adalah dari Tanah Datar dan Paya Kumbuh. Dari suku Biduanda inilah asalnya pembesar-pembesar Negeri Sembilan yang dipanggil Penghulu dan kemudiannya Undang. Sebelum wujudnya Yang DiPertuan Besar, Negeri Sembilan adalah di bawah naungan kerajaan Melayu Johor. Ketibaan Raja Melewar dari Pagar Ruyung, Minangkabau pada 1773, memulakan institusi beraja di Negeri Sembilan. Uniknya ialah raja di Negeri Sembilan adalah yang dijemput oleh pembesar-pembesar negeri (Penghulu) dari Pagar Ruyung dan dirajakan di Negeri Sembilan. Sebab itulah raja tidak digelar Sultan tetapi memakai gelaran Yang DiPertuan atau Yamtuan. Asal penubuhan Negeri Sembilan adalah oleh Dato' Pepatih Nan Sebatang. Beliau juga merupakan pengasas bagi adat pepatih yang sangat dikenali umum. Seperti yang di ketahui umum, adat pepatih lebih mementingkan kaum wanita daripada lelaki. Pada dasarnya, adat ini adalah adat yang terbaik di Negeri Melayu kerana ia sangat mencakupi segala aspek. Keutamaan wanita di dalam adat pepatih sebenarnya lebih kepada mewarisi harta pusaka dan membawa darah keturunan. Berbeza dari kesultanan Melayu yang lain, harta dan darah keturunan di warisi oleh kaum lelaki. Menurut adat pepatih, wanita yang mengandungkan dan melahirkan anak maka wanitalah yang membawa darah keturunan kepada pewaris iaitu anaknya. Dari segi harta pula, hanya harta pusaka iaitu termasuk tanah dan rumah induk diwarisi oleh wanita bertujuan agar kaum wanita tidak terabai sekiranya dicerai suami. Namun demikian harta sepencarian adalah milik bersama lelaki dan wanita dan di bahagi mengikut hukum Islam. Hasil positif daripada pengamalan adat pepatih ini, harta pusaka tidak tergadai kerana tidak boleh dijual malah di dalam sesebuah kampung, biasanya terdiri daripada saudara mara kerana tanah pusaka telah dibahagi dari awal keturunan kepada generasi sekarang. Dalam erti kata lain, di dalam sebuah kawasan, biasanya terdiri dari keluarga dari satu keturunan. Bulat air kerana pembentung, bulat manusia kerana muafakat. Of humble origins, Muhammad founded and promulgated one of the world's great religions, and became an immensely effective political leader. Today, thirteen centuries after his death, his influence is still powerful and pervasive. The majority of the persons in this book had the advantage of being born and raised in centers of civilization, highly cultured or politically pivotal nations. Muhammad, however, was born in the year 570, in the city of Mecca, in southern Arabia, at that time a backward area of the world, far from the centers of trade, art, and learning. Orphaned at age six, he was reared in modest surroundings. Islamic tradition tells us that he was illiterate. His economic position improved when, at age twenty-five, he married a wealthy widow. Nevertheless, as he approached forty, there was little outward indication that he was a remarkable person. Most Arabs at that time were pagans, who believed in many gods. There were, however, in Mecca, a small number of Jews and Christians; it was from them no doubt that Muhammad first learned of a single, omnipotent God who ruled the entire universe. When he was forty years old, Muhammad became convinced that this one true God (Allah) was speaking to him, and had chosen him to spread the true faith. For three years, Muhammad preached only to close friends and associates. Then, about 613, he began preaching in public. As he slowly gained converts, the Meccan authorities came to consider him a dangerous nuisance. In 622, fearing for his safety, Muhammad fled to Medina (a city some 200 miles north of Mecca), where he had been offered a position of considerable political power. This flight, called the Hegira, was the turning point of the Prophet's life. In Mecca, he had had few followers. In Medina, he had many more, and he soon acquired an influence that made him a virtual dictator. During the next few years, while Muhammad's following grew rapidly, a series of battles were fought between Medina and Mecca. This was ended in 630 with Muhammad's triumphant return to Mecca as conqueror. The remaining two and one-half years of his life witnessed the rapid conversion of the Arab tribes to the new religion. When Muhammad died, in 632, he was the effective ruler of all of southern Arabia. The Bedouin tribesmen of Arabia had a reputation as fierce warriors. But their number was small; and plagued by disunity and internecine warfare, they had been no match for the larger armies of the kingdoms in the settled agricultural areas to the north. However, unified by Muhammad for the first time in history, and inspired by their fervent belief in the one true God, these small Arab armies now embarked upon one of the most astonishing series of conquests in human history. To the northeast of Arabia lay the large Neo-Persian Empire of the Sassanids; to the northwest lay the Byzantine, or Eastern Roman Empire, centered in Constantinople. Numerically, the Arabs were no match for their opponents. On the field of battle, though, the inspired Arabs rapidly conquered all of Mesopotamia, Syria, and Palestine. By 642, Egypt had been wrested from the Byzantine Empire, while the Persian armies had been crushed at the key battles of Qadisiya in 637, and Nehavend in 642. But even these enormous conquests, which were made under the leadership of Muhammad's close friends and immediate successors, Ali, Abu Bakr and 'Umar ibn al-Khattab, did not mark the end of the Arab advance. By 711, the Arab armies had swept completely across North Africa to the Atlantic Ocean There they turned north and, crossing the Strait of Gibraltar, overwhelmed the Visigothic kingdom in Spain. For a while, it must have seemed that the Moslems would overwhelm all of Christian Europe. However, in 732, at the famous Battle of Tours, a Moslem army, which had advanced into the center of France, was at last defeated by the Franks. Nevertheless, in a scant century of fighting, these Bedouin tribesmen, inspired by the word of the Prophet, had carved out an empire stretching from the borders of India to the Atlantic Ocean-the largest empire that the world had yet seen. And everywhere that the armies conquered, large-scale conversion to the new faith eventually followed. Now, not all of these conquests proved permanent. The Persians, though they have remained faithful to the religion of the Prophet, have since regained their independence from the Arabs. And in Spain, more than seven centuries of warfare, finally resulted in the Christians reconquering the entire peninsula. However, Mesopotamia and Egypt, the two cradles of ancient civilization, have remained Moslem, as has the entire coast of North Africa. The new religion, of course, continued to spread, in the intervening centuries, far beyond the borders of the original Moslem conquests. Currently it has tens of millions of adherents in Africa and Central Asia and even more in Pakistan and northern India, and in Indonesia. In Indonesia, the new faith has been a unifying factor. In the Indian subcontinent, however, the conflict between Moslems and Hindus is still a major obstacle to unity. How, then, is one to assess the overall impact of Muhammad on human history? Like all religions, Islam exerts an enormous influence upon the lives of its followers. It is for this reason that the founders of the world's great religions all figure prominently in this book. Since there are roughly twice as many Christians as Moslems in the world, it may initially seem strange that Muhammad has been ranked higher than Jesus. There are two principal reasons for that decision. First, Muhammad played a far more important role in the development of Islam than Jesus did in the development of Christianity. Although Jesus was responsible for the main ethical and moral precepts of Christianity (insofar as these differed from Judaism), St. Paul was the main developer of Christian theology, its principal proselytizer, and the author of a large portion of the New Testament. Muhammad, however, was responsible for both the theology of Islam and its main ethical and moral principles. In addition, he played the key role in proselytizing the new faith, and in establishing the religious practices of Islam. Moreover, he is the author of the Moslem holy scriptures, the Koran, a collection of certain of Muhammad's insights that he believed had been directly revealed to him by Allah. Most of these utterances were copied more or less faithfully during Muhammad's lifetime and were collected together in authoritative form not long after his death. The Koran therefore, closely represents Muhammad's ideas and teachings and to a considerable extent his exact words. No such detailed compilation of the teachings of Christ has survived. Since the Koran is at least as important to Moslems as the Bible is to Christians, the influence of Muhammad through the medium of the Koran has been enormous. It is probable that the relative influence of Muhammad on Islam has been larger than the combined influence of Jesus Christ and St. Paul on Christianity. On the purely religious level, then, it seems likely that Muhammad has been as influential in human history as Jesus. Furthermore, Muhammad (unlike Jesus) was a secular as well as a religious leader. In fact, as the driving force behind the Arab conquests, he may well rank as the most influential political leader of all time. Of many important historical events, one might say that they were inevitable and would have occurred even without the particular political leader who guided them. For example, the South American colonies would probably have won their independence from Spain even if Simon Bolivar had never lived. But this cannot be said of the Arab conquests. Nothing similar had occurred before Muhammad, and there is no reason to believe that the conquests would have been achieved without him. The only comparable conquests in human history are those of the Mongols in the thirteenth century, which were primarily due to the influence of Genghis Khan. These conquests, however, though more extensive than those of the Arabs, did not prove permanent, and today the only areas occupied by the Mongols are those that they held prior to the time of Genghis Khan. It is far different with the conquests of the Arabs. From Iraq to Morocco, there extends a whole chain of Moslem nations united not merely by their faith in Islam, but also by their Arabic language, history, and culture. The centrality of the Koran in the Moslem religion and the fact that it is written in Arabic have probably prevented the Arab language from breaking up into mutually unintelligible dialects, which might otherwise have occurred in the intervening thirteen centuries. Differences and divisions between these Arab states exist, of course, and they are considerable, but the partial disunity should not blind us to the important elements of unity that have continued to exist. For instance, neither Iran nor Indonesia, both oil-producing states and both Islamic in religion joined in the oil embargo of the winter of 1973-74. It is no coincidence that all of the Arab states, and only the Arab states, participated in the embargo. We see, then, that the Arab conquests of the seventh century have continued to play an important role in human history, down to the present day. It is this unparalleled combination of secular and religious influence which I feel entitles Muhammad to be considered the most influential single figure in human history. 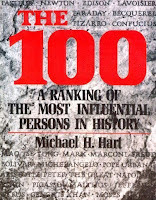 in "The 100, a Ranking of the Most Influential Persons in History"